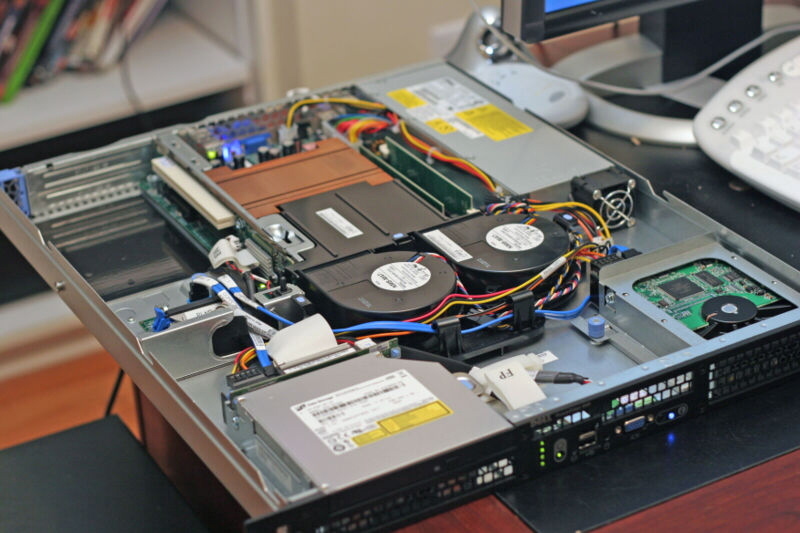 Construction has now begun on the fibre optic data network that will spread throughout all of SpinDizzy. The network will originate at the recently announced high performance computing research centre and will connect to the Tauran homeworld in addition to the platentary networks of many other worlds including Earth's Internet. 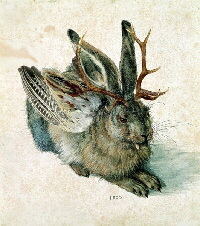 During my visit to the German Museum of Hunting and Fishing in Munich, I discovered a creature many of us probably haven't heard of before--the wolpertinger. The wolpertinger is the Bavarian cousin to the American jackalope, being a European hare with deer antlers. The wolpertinger differs from its American relative, however, in having a pair of owl's wings as well. Unfortunately, I wasn't able to find much more information on the creature other than suggestions from the display case where several (questionably authentic) wolpertinger were stuffed and mounted. I questioned their authenticity since from what I managed to read from the sign next to the display, wolpertinger are fairly clever and mischievious beasts that excell at making themselves invisible--not the sort of traits that would lead one to get caught and stuffed. Still, it's good to know that when you're out in the Bavarian woods and some _thing_ is after you, odds are he's just a flying bunny with a weird sense of humor. Lyrics © Suri the lemur. Welcome, folks, to another edition of comic book fun! 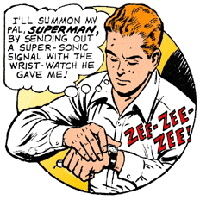 This week, we will be looking at super-hero communication methods. From calling in the guys in capes to coordinating an attack on the arch-villain's lair, a good line of communication is important to the union-suit-wearing set. Let's start with the most well-known way to call in a hero, in particular the Dark Knight, Batman. 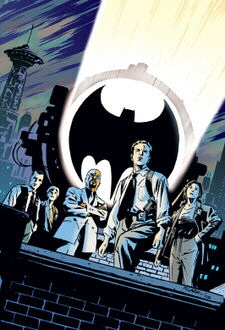 When Commissioner Gordon wants to chat with Batman, he activates a simple yet effective, if dramatic, way to reach the Caped Crusader: The Bat-Signal! Simply a spotlight with a bat-shaped piece in front of the light, when that is shined on the clouds around Gotham City, it means two things. One, a major criminal is giving the police trouble. Two, that major criminal should head for the hills, because Batman is being sent into the game. Heck, I'm sure the police occasional flash the signal simply as a crime deterrent. I can see criminals going "Oh, man! The bat-signal! Batman is going be on the case, and I don't want to cross his path!" 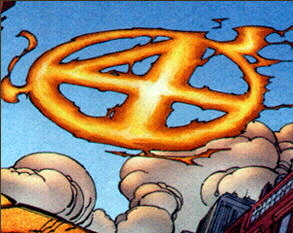 A similar method for summoning heroes comes from the Fantastic Four. Now, in this day and age, Reed Richards, the ever-brainy Mr. 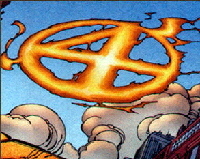 Fantastic, has integrated a communicator into the "4" symbol on their uniforms. However, before that, when he (or the mayor of New York, where they live) wanted to get the gang together in case, say, Galactus stopped by for a bite to eat, he would use...the Fantasti-Flare! A specially modified flare gun, a nice big fiery version of the famous logo appears in the sky. I have to admit, I think that may be more impressive than the Bat-Signal, as not only does it take skill to make something that will explode and burn in that precise shape, but it doesn't need to be night or have clouds to be used. Of course, if you get to be called Superman's Pal, you get your own nifty way of getting the Man of Steel's attention: Jimmy Olsen wears the one and only ultrasonic signal watch! 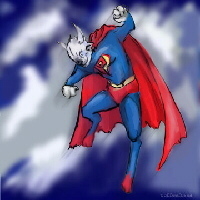 Giving off a distinctive "zee-zee-zee-zee" that only Kryptonian ears can hear, when "Mr. Action" gets into trouble (and you know he will, it's in his contract! ), a quick click and help is on the way! For more sophisticated communication, you can't beat being able to send one's thoughts to your teammates. The X-Men have been doing that for years, thanks to good ol' Professor X or Jean Gray (A.K.A. Marvel Girl, later known as Phoenix). If you don't have a master of the mental arts handy, you are going to have to rely on technology. 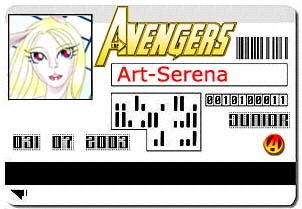 The Avengers, for example, incorporate their communicators right into the identification cards. That way, as long as you got your I.D., you can make a call and get, say, Thor to give you a lift to work. In the 31th Century of the DC universe, the Legion of Super-Hero's use a couple of devices to keep in touch. 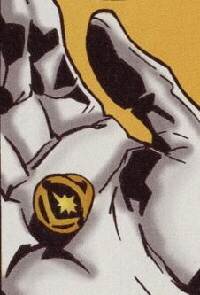 First, every Legion member's flight ring includes a communicator. That will do it for this week, friends and neighbors! Remember, we here (and by we, I mean me) at Four-Kolor Kitty rely, more or less, on your suggestions and questions for topics of future columns. Just page #mail PatchO'Black with those ideas and queries! Until next week, see you in the funny pages! Glue shells, pasta and coins onto your stick. You can use anything that has an interesting shape and texture, and that you think would make your stick look nice. Once your stick is covered with decorations, coat the whole thing with glue, and cover it with zinc foil. Press the foil down tight, so the shapes of the decorations show through. Now your stick looks like the work of a master zincsmith! Hey gang, here's this week's Spindizzy @Action News Survey. CBS seems to be having a hard time getting a replacement for The Price Is Right's Bob Barker. Who among us would make the perfect replacement and why? Please get your answers to me before this Friday. Thanks! DTF ponders "I dunno... if you're looking for someone to replace Barker I'd suggest a canine or vulpine. We can bark pretty loudly, though really disagree with spaying and neutering." Hotaru would probably end up turning the "Price Is Right" into a clone of "Takeshi's Castle" if she were host! Tanuki barks, "Austin, because he loves that sort of thing." Argon says, "The perfect replacement would be Suri!" PatchO'Black mews, "I would love to do that job, but I am not sure I would be the perfect replacement." 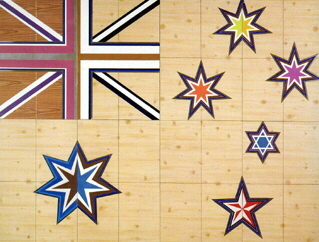 Fermata says to Ba'ar, "I would have to Nyni. She would make the show super cute, like her." Fermata says to Ba'ar, "Nyni because she would make the show super cute, like her." Nyni cutely says, "Sunni, she is always acting like she is on it." 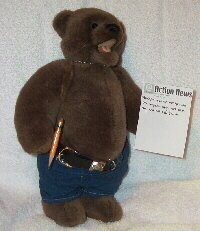 Ginger writes down, "I would say Argon, because he's so big, the excited female contestants won't knock him over when they rush onto the stage." Annon says, "The replacement for the gameshow would have to be me! With Annon, the price is always right!" 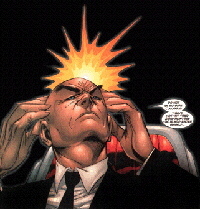 Ba'ar growls, "I'd say Argon myself. For all Barker's posturing about animal rights. 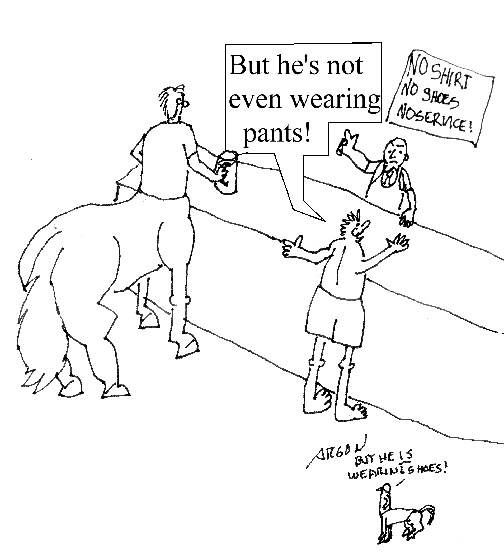 Why not have his replacement be "horselike but not a horse"?" Nyni cutely says, "I dunno the Price is Right enough to make a choice." Mouser hisses, "I suppose BarterGarter would be the obvious choice..."
A classic Doze Garden cartoon from the past.